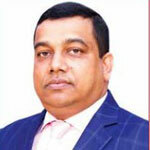 Mr. Mohammed Mahtabur Rahman a seasoned businessman and well versed in a broad range of trade ventures around the world hails from Sylhet. Born in 1958, he completed his education there itself and pursued with passion his traditional family owned business, which was established in the holly city of Makkah, Kingdom of Saudi Arabia in the year 1970. He mastered the art of craftsmanship of the Fragrance Industry and surmounts the business to new heights. 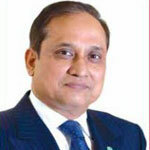 He is currently the Chairman & Managing Director of Al Haramain Perfumes Group of Companies and the Chairman of NRB Bank Limited, which is one of the leading 4th Generation Banks in Bangladesh. Al Halal Perfumes L.L.C was opened in the UAE, to cater to the fragrance needs of the mass markets. Al Haramain Perfumes L.L.C with many branches was opened in the Sultanate of Oman for Omanis and for the entire markets in the country. Al Haramain Perfumes Int'l W.L.L & Noor Al Haramain Perfumes Company W.L.L was opened in the State of Kuwait, with many branches, to cater to the Perfumery needs of the entire markets all over the country. Al Haramain Perfumes W.L.L with many branches was opened in the state of Qatar, to meet the Perfumery needs of the valuable Qatari Customers & others. Al Haramain Perfumes SPC with many branches in the neighborhood were opened in the Kingdom of Bahrain to satisfy the perfumery needs of elite Bahraini customers and others. Al Haramain Perfumes PTE LTD. was opened in Singapore to meet the fragrance needs of the markets of Singapore, Indonesia and Brunei. Al Haramain Perfumes SDN. BHD in Malaysia was opened to serve the perfumery needs of the entire Malaysian & other Asian Countries. Rich & Ruitz, yet another Perfume company has been established in France with a manufacturing facility for production and distribution to capture the entire European & the American markets. Al Haramain Perfumes showroom was opened in London to serve the perfumery needs of all our Customers of UK and Europe. 4 Corners Distribution Ltd. has been established in London to facilitate/distribute to our Distributors in the United Kingdom & European Markets. Al Haramain Perfumes Inc, was established in New York, USA to meet the fragrance needs of our customers in the United States of America. Emad Distribution Inc, has been launched in Texas, USA to facilitate/distribute to our Distributors in the United States of America and the South American countries. Al Haramain Perfumes PVT.LTD. was established and opened the first showroom at Jamuna Future Park in Dhaka, catering to the perfumery needs of Bangladesh customers/markets. Bangladesh Business Council - Dubai, in which he is the Founder President, has been established for Bangladeshi Business Communities in Dubai and the Northern Emirates in UAE. Shaikh Khalifa Bin Zayed Bangladesh Islamia (Pvt.) School in Abu Dhabi, UAE in which he is the Sponsor. Al Arafah Islami Bank Ltd. in which he was the Sponsor/Director, is one of the popular banks in Bangladesh. AIBL Capital market services Ltd., a subsidiary of Al Arafah Islami Bank Limited, in which he is the Sponsor/ Director. The University of Asia Pacific in which he is the Trustee, is one of the leading Universities in Bangladesh. Al Haramain Tea Co. Ltd. in Bangladesh, in which he is the Chairman, boosts the production of Bangladeshi Tea. Al Haramain Hospital Pvt. Ltd. in which he is the Chairman, is one of the most modern upcoming 250 Bed multi-disciplinary & multi-storeyed Hospital in Sylhet, Bangladesh. Beani Bazar Cancer Hospital in which he is a Trustee provides better treatment and care facilities to cancer patients in Bangladesh. He was ranked the top Commercially Important Person (CIP) for 4 consecutive years 2012, 2013, 2014 & 2015 by the Government of the Peoples’ Republic of Bangladesh. He was also awarded the prestigious 'Bangladesh Bank Remittance Award' consecutively for 4 years 2013, 2014, 2015 & 2016 in recognition of his highest remittance/investment into Bangladesh. He is also the recipient of Honorary Doctor of Philosophy in World Peace and Morality Business Administration of the International University of Morality-Thailand, in the year 2014. 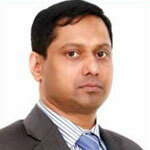 Mr. Tateyama Kabir is a dual citizen of Bangladesh and Japan. He is the President of Kabir Auto Export Co. Ltd. He is one of the most successful exporters of cars from Japan around the world.He is expanding his investments in automobile sector in Bangladesh. He has the potentials to build relationship between Japan and Bangladesh. Mr. Tateyama Kabir is member of different social and cultural organizations including Dhaka Club, All Community Club and the elite Lion’s Club, Owners Association, Youth Club in Japan etc. He is equally active in many community development and social services programmes. He has remained an honourable patron to a good number of educational institutions contributing significantly to the advancement of countries education. He has completed his Masters in Japanese language from University of Toyama, Japan. He is married to Mrs. Hasina Akther and is blessed with two daughters and one son. 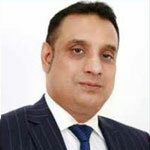 Mr. Kamal Ahmed is the Deputy Managing Director of Seamark plc in the UK, Seamark (BD) Ltd and IBCO Food Industries in Bangladesh and Seamark USA Inc in the USA, which are all part of the Seamark Group of Companies headquartered in Manchester, England. The Group employs 4,000 people worldwide with distribution networks in Europe, the USA and Canada. 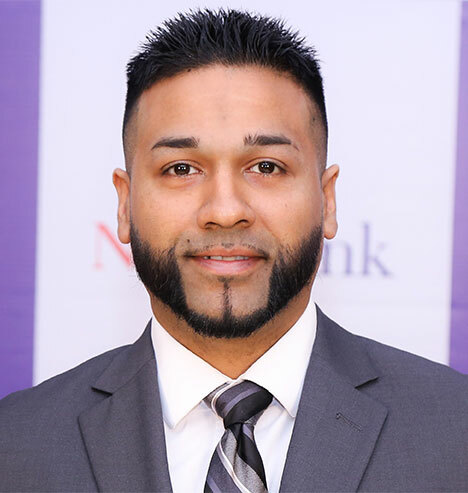 Mr. M Badiuzzaman is a versatile and experienced business professional with extensive knowledge and networking capacity to revolutionize business decision-making in international trade, commerce and the finance industry. 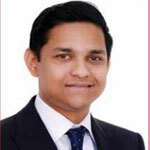 Mr. M Badiuzzaman is a Graduate from Dhaka University and holds corporate/individual membership of Singapore Business Federation (SBF), Singapore, Textile & Fashion Federation (TAFF), Singapore, International Business Forum of Bangladesh (IBFB) and Real Estate and Housing Association of Bangladesh (REHAB). Mr. Mohammed Idrish Farazy the chairman of National Exchange Company, Italy; with his continuous succeeding contributions is known to have grown the seeds of remittance business in Italy. 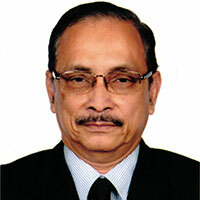 He has obtained a Bachelor’s Degree in Business & Administration from the University of Bangladesh. In 2006, in recognition to his outstanding and proficient contributions in world of Remittance Business he was awarded the Mother Teresa International award. Due to his continuous effort he was awarded the prestigious, Bangladesh Bank Remittance Award, in 2014 in recognition of highest remittance into Bangladesh in regards of National Exchange Company, Italy. He also ranked as a Commercially Important Person (CIP) for two consecutive years 2012-13 & 2013-14 by the Government of Bangladesh. Mr. Iqbal Ahmed OBE DBA is the Chairman & Chief Executive of Seamark Group of companies and IBCO Food Industries Limited. He is also the Founder and First Chairman of NRB Bank Limited. Seamark Group grew from a small family run business to supply seafood and various food products worldwide. Iqbal pioneered the import and export of frozen seafood in refrigerated containers and was the first to import Black Tiger shrimps into the UK and the EU. It wasn’t long before he began to look at ways of expanding the family business, thus created Iqbal Brothers & Company, now IBCO Limited, importing and distributing frozen seafood and all kinds of frozen food products. As the business grew further, it made sense to Iqbal to create a new company, Seamark which is more reflective of the size and scope of the operation. Seamark’s first factory was set up in Manchester and was officially opened in 1993 by The Rt Hon The Lord Deben, John Selwyn Gummer, the then Minister of Agriculture, Fisheries and Food. In 2000 Iqbal Ahmed established Seamark (BD) Limited in Bangladesh which was inaugurated by HRH Princess Anne. His clear vision for the business has led to a string of prestigious awards for Seamark in the UK and in Bangladesh. Excellence in the field has been recognised at home in the UK with a Queen’s Award for Export Achievement in 1998 and a number of Gold trophy Awards from the Government of Bangladesh for achieving the highest exports of seafood for nearly every year between 2002 and 2014. One of Iqbal Ahmed’s biggest achievements is the successful establishment of NRB Bank Limited in Bangladesh, where he brought together 46 NRB (non-resident Bangladeshi) entrepreneur investors from all over the world to invest in Bangladesh. Iqbal had a vision of creating a financial institution for Non-resident Bangladeshi. He dreamt of unlocking a new horizon to the Bangladesh economy by facilitating NRB inward and outward investment to and from Bangladesh, assisting Bangladeshi enterprises to access international market and increasing the inflow of foreign remittances. Despite his busy schedule Iqbal makes time for charity works. He is connected with, as sponsor, trustee or member, many charitable organizations in the UK and Bangladesh, mainly situated within the educational sector and healthcare involving rehabilitation, training and community work, including the development of a secondary school and college for 1400 pupils in Sylhet in north east Bangladesh. He has supported and raised funds for the Manchester Children’s Hospital Appeal, the Royal Manchester Eye Hospital Appeal and Ahsania Mission Cancer and General Hospital Appeal to name a few. 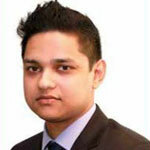 He is the Chairman of UKBCCI (UK Bangladesh Catalyst of Commerce & Industry) which promotes business and entrepreneurship to young people in the UK and Bangladesh. He personally gets involve with his companies’ CSR and has formed a charity registered in the UK called the Iqbal Bros Foundation Trust. Iqbal received his highest personal recognition when he was awarded an OBE (Officer of the Most Excellent Order of the British Empire) at the Queen’s honours list in 2001 for his services to International Trade. He is a CIP (Commercially Important Person) in Bangladesh since 2009. Over the years Iqbal Ahmed has played an active role as member, advisor or director in a number of UK government committees, ministries and advisory bodies such SAAG (Southern Advisory Group, Competitiveness Council, BOND (a UKTI initiative), MOSAIC under the Business in the Community, New East Manchester, Ethical Trading Champion’s Group, New Enterprise Council and Catalyst UK. Iqbal Ahmed has the ability to speak with such authority thus regularly sought as a speaker or panel member in international events and Universities such as Bangladesh Investment Summit in Singapore (2014, 2015), World Islamic Economic Forum in Dubai (2014), Inaugural Bangladesh Investment Summit in London (2013), Entrepreneurs Festival Manchester (2013, 2016), University of Dhaka (2015), and University College London (2015). Khandakar R. Amin is Bangladeshi origin American Citizen. He was born in Noakhali on 31st December 1956. He is a Bachelor Degree holder and a father of four children. He is running his business successfully both in America and Bangladesh for 25 years. Father Realty Corporation (Commercial Building). Amin Realty Corporation ((Commercial Building). Hirapur Realty Corporation (Commercial Building). He is also the proprietor of the following businesses in Bangladesh: Hotel New York (Residential), KH Carbon Factory, Khandakr Aquaculture Ltd., Amin CNG Filling Station, Amin Gas station, Cafe New York and Dhaka New York Agro Fishers. Ltd. Mr. Amin is also involved in many social developments in Bangladesh and abroad. 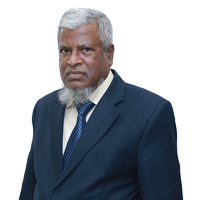 Mr. Mohammed Jamil Iqbal is the founder and Chairman of Jamil Iqbal Ltd. which is one of the largest construction companies of Bangladesh. He is a successful NRB entrepreneur and investor. He is the chairman of Manor Trade and Divine Properties Ltd.
Mr. Iqbal is the proprietor of M/S. Md. Jamil Iqbal, J.I. Stone and the owner of many Crushing plants. He deals in exports and imports. He is used to import construction materials and machineries. Mr. Iqbal is the partner of Al Anood Perfumes Co. (LLC), Deira, Dubai, UAE. Mr. Iqbal comes of a noble Muslim family of Beanibazar, Sylhet. Having obtained graduation he engaged himself in various types of business. 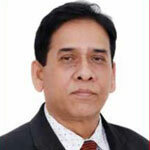 He is the member of the Sylhet Chamber of Commerce and Industry. 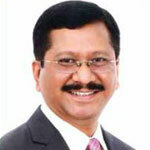 He is associated with various socioeconomic works. Mr. Iqbal is a British Citizen. He is the highest Tax payer in Sylhet and received national award from the Government of the People's Republic of Bangladesh from assessment year 2007-08 to 2013-14 (07 years) at a stretch. An astute entrepreneur, Mr Nafih Rashid Khan prides himself for being a primary part of the establishment, Deshi Group, since an early age. Its associate company, Bulk Trade International Ltd., is the largest trading house of fertilizer, fertilizer raw materials. Based in Dubai, Mr Khan is an honourable NRB, the Director of the company Commodity First DMCC that trades agricultural commodities with parties all over the world and is also involved in operation of a fleet of Ocean going cargo vessels. Mr Khan has duly completed his LLB (Hons.) from the University of Edinburgh, Scotland. Dr. Choudhury is General Practitioner and Principal Partner of Dr Choudhury and Dr Sultan Practice, and a tutor at Manchester Medical School. He is a dual citizen of the UK and Bangladesh. 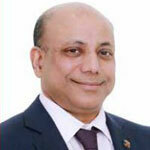 He is the Chairman and Director of the North West Chapter of the Bangladesh Medical Association (UK). He holds other positions in the Bangladesh Welfare Services.He has completed his MBBS from Sylhet MAGO Medical College, Bangladesh and his MRCGP from the UK. Mr. Mohammed Rafique Miah came to London in 1993 and started work in the family business Greenline, an importing & distributing company. He established Bangla Town Cash and Carry in 1994 which is well-known in the Bangladeshi community’s in UK. 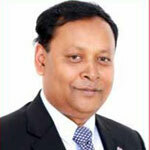 Mr Rafique Miah is the Chairman of Bangladeshi Importers Association in the UK. He is also the Chairman & CEO of Le Chaina PLC; Director of Klaspad PLC and honorary president of Tower Hamlets Cricket Club. Mr. Rafique graduated in Bangladesh, having completed his degree from MC College, Sylhet in Social Science. An experienced businessman in the field of perfume industry. He started his business career by developing an interest towards the making of perfumes. His company, Hassan Shahin Ahmed Perfumes L.L.C. was established in 1982, in Dubai, UAE. The perfumes are imported and exported from and around the globe. He now stands as the managing director of the company. His keen concern in helping the needy in every way has given him many opportunities to develop the community. He is the chairman of a charitable organization 'Sylhetvivagunnoyonporishod' which is based in Dubai, UAE. The Chief Advisor of another organization 'Bangladesh ShomajKollyanShomitee' in UAE. And one of the founder members of Bangladesh Business Council. Mr. Mohammed Jahed Iqbal is a successful NRB entrepreneur and possesses excellent business background. He comes of a noble Muslim family of Beanibazar, Sylhet. Having obtained graduation he engaged himself in various types of businesses. 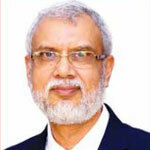 Mr. Mohammed Jahed Iqbal is a member of the Executive Committee of the Board of Directors of NRB Bank Limited. Mr. Iqbal is the owner of M/S. Md. Jahed lqbal and the Managing Director of Jamil lqbal Ltd. which is one of the largest construction companies of Bangladesh. 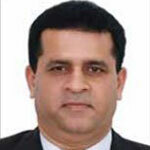 He is also a Director of Jahed lqbal Ltd. UK and a partner of Desert Star Trading LLC, UAE. He is also associated with various socioeconomic works in Bangladesh and abroad. 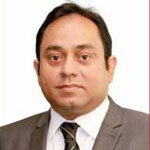 Mr. Humayen Kabir Khan is a member of Board of Directors of NRB Bank Limited. 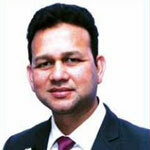 He is energetic and promising entrepreneur and possesses excellent business background. 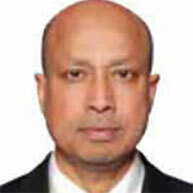 Mr. Abdul Jalil Chowdhury is an Independent Director of NRB Bank Limited and also a member of Executive Committee and Risk Management Committee of the Board of Directors of the Bank. 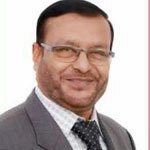 A postgraduate in Physics from Rajshahi University, he started his career in 1977 as Probationary Officer in Janata Bank Limited and retired as Additional Managing Director from Mercantile Bank Limited in 2016. During his 39 years of long service period, he served a number of reputed Banks i.e. Janata Bank Limited, National Bank Limited, Southeast Bank Limited and lastly Mercantile Bank Limited in various capacities.